Grilled Mahi Mahi with Dale's Seasoning is an excellent dinnertime dish. 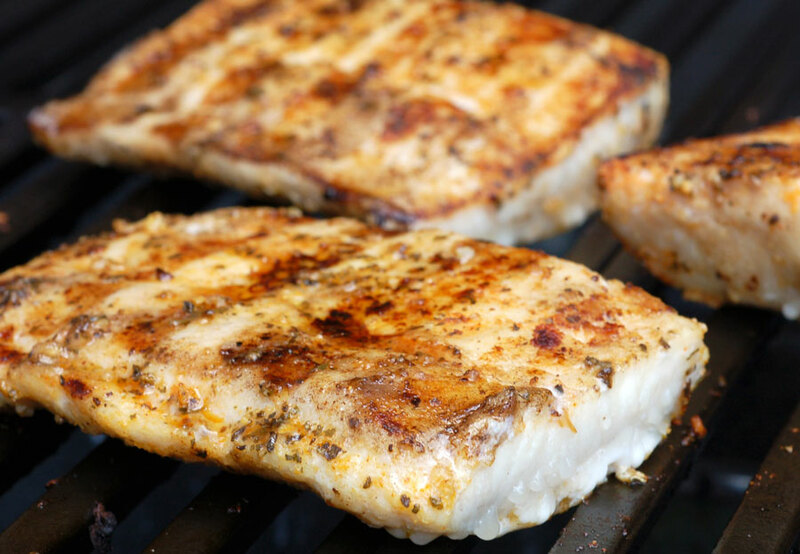 This recipe calls Mahi Mahi fillets and Dale's seasoning. Looking for another grilled dish try Dale’s Cedar Plank Salmon. To begin making Grilled Mahi Mahi with Dale's Seasoning, combine all ingredients (except the fish) in a ziplock bag. Then, add Mahi Mahi fillets. Turn to coat. Place in refrigerator for 20 minutes. If using dale's Reduced Sodium Blend, marinate an additional 15 minutes. Next, preheat grill to high and thoroughly clean the cooking grate. Remove fillets from marinade and set aside reserved marinade. Place fish fillets on grill. Continue to grill for about 6 minutes or until the fish turns opaque. Flip and continue grilling for an additional 6 minutes or until the fish flakes easily through the middle. Finally, remove from the grill and serve immediately.